Students will have oodles of fun building essential reading skills with rib-tickling versions of beloved fairy tales turned into read-aloud plays! Even your most reluctant readers won"t be able to resist these hilarious twists on their favorite tales- Spiderella, Goldilocks and the Three Bullfrogs, The Popsicle Boy, Little Late Riding Hood, The Cheetah and the Sloth, Rafunzel and many more! 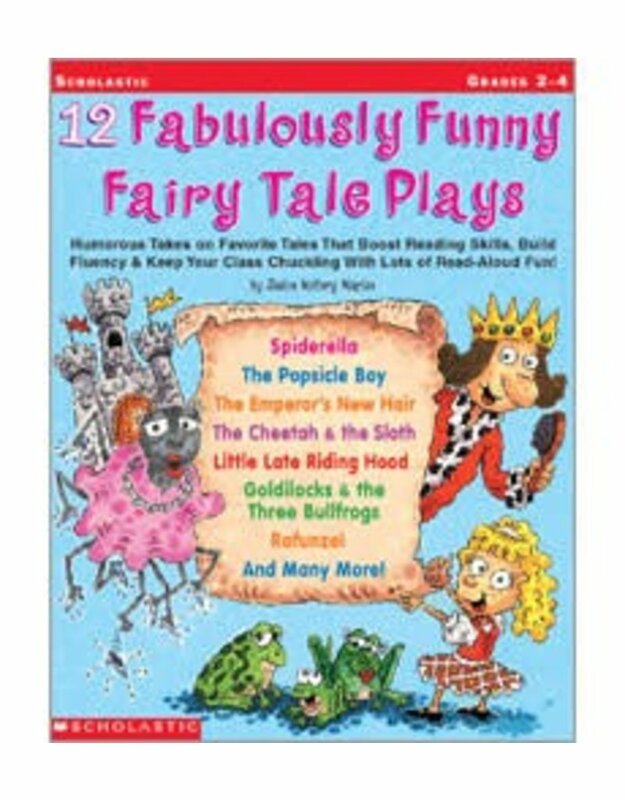 Plus: Each play comes complete with instant discussion starters, vocabulary boosters, imaginative writing prompts, and a brief history of the fairy tale.